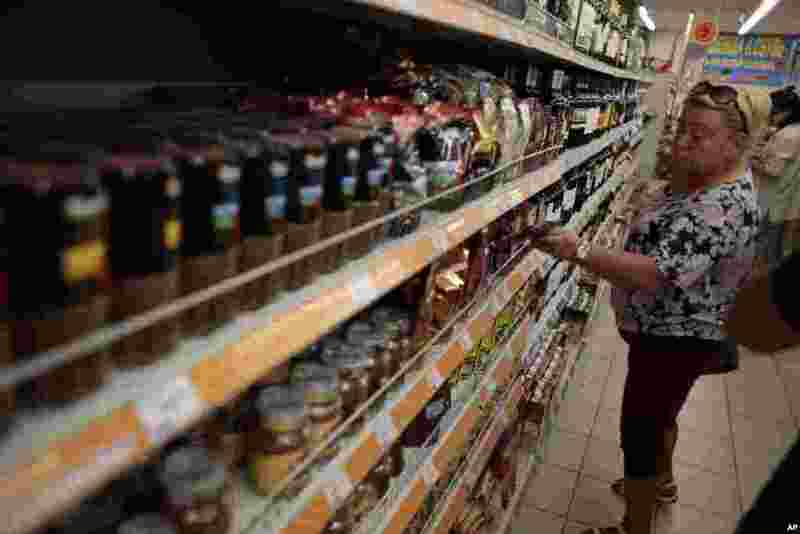 5 A woman shops for sweets from an assortment of imported food stuffs at a supermarket in downtown Moscow, Aug. 7, 2014. 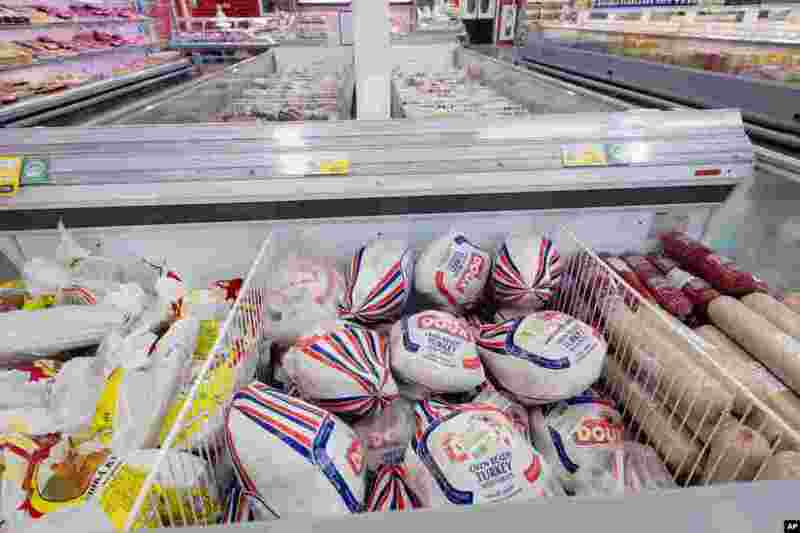 6 Imported meat products are displayed at a supermarket in Novosibirsk, about 2,800 kilometers east of Moscow, Russia, Aug. 7, 2014. 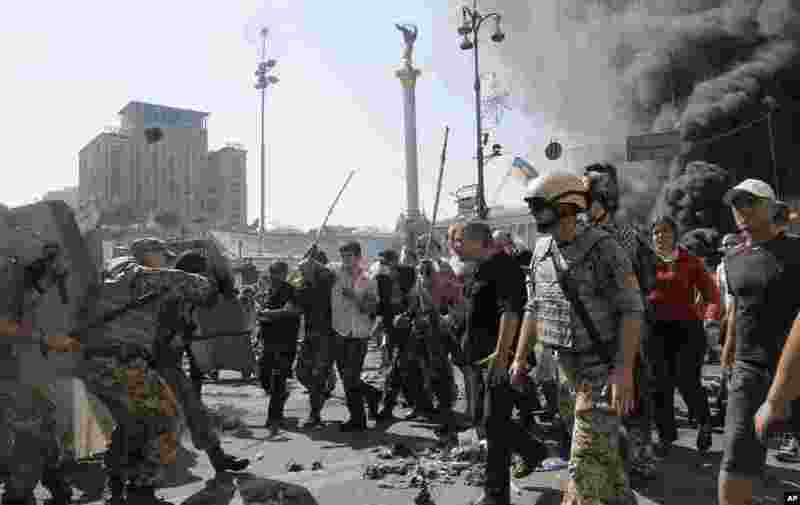 7 Activists clash with a special forces police battalion, in Independence Square, Kyiv, Ukraine, Aug. 7, 2014. 8 Worries about Russian troops amassing near the Ukrainian border are pushing stocks slightly lower. 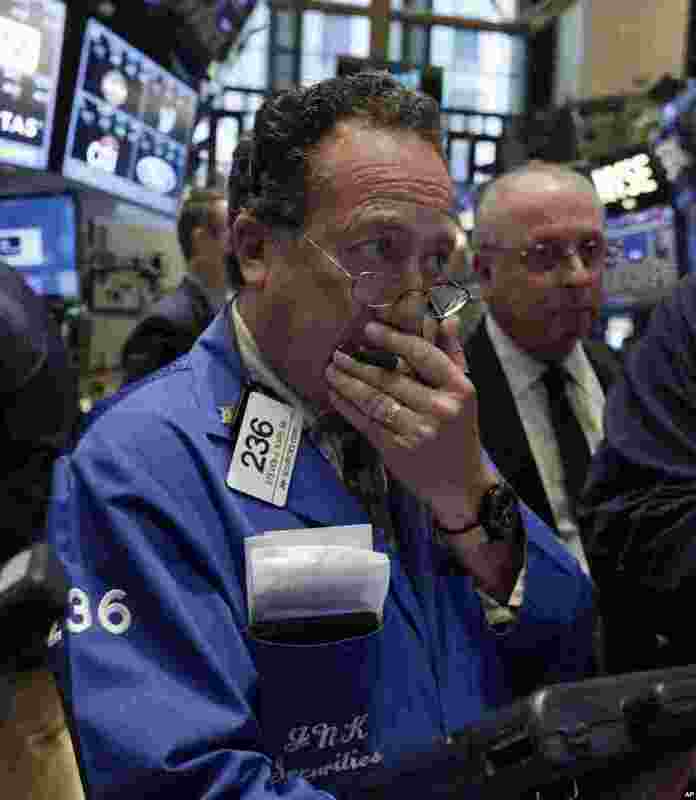 Trader Steven Kaplan, left, works on the floor of the New York Stock Exchange, New York, NY, Aug. 6, 2014.